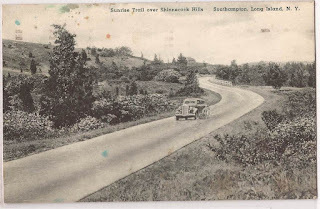 The Sunrise Trail over the Shinnecock Hills in Southampton. Today this section of road is the Montauk Highway and part of it ran along Shinnecock Bay. Beautiful....wish it still looked this way.